Dr Adam Bates is a senior Lecturer in the environment group in the School of Animal, Rural & Environmental Sciences. He is module leader for CCMT10420 Introduction to Plant Ecology, CCMT20524 Introduction to Research, CCMT20121 Applied Habitat Management & CCMT30413 Advanced Ecology. He teaches on a variety of other modules including field courses to Spain and Pembrokeshire and CCMT10421 Ecological Census Techniques. Dr Bates is an active researcher in a variety of areas including urban ecology, green roofs, citizen science, riparian and orchard ecology. NTU are offering over 50 fully-funded PhD studentships for UK, EU & international applicants. Details can be found on the NTU PhD page. Please get in contact with me if you are interested in applying for a position, and have an idea of a research area that you are interested in. 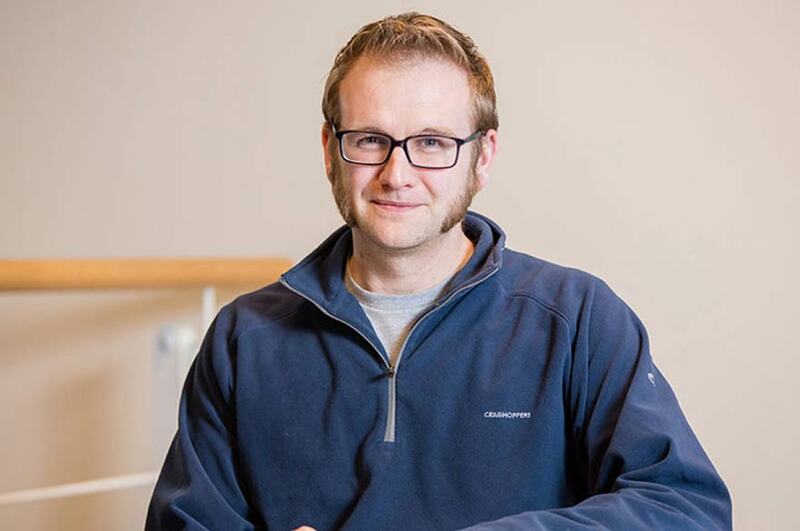 Dr Adam Bates has a BSc (Hons) in Environmental Science from University of Wales – Aberystwyth, an MRes in Science of the Environment from Lancaster University, and a PhD from the University of Birmingham on riparian beetle ecology. The UNESCO SWITCH sustainable water project. Investigating the ecology and hydrology of green roofs. The Open Air Laboratories citizen science project. Delivering outreach across the West Midlands and researching the urban ecology of bees and moths. The Leverhulme Noble Chafer/orchards project. Studying the ecology of the rare Noble Chafer (Gnorimus nobilis) and the social motivations for orchard conservation. aquatic:terrestrial interactions in estuarine ecosystems. Opportunities to carry out postgraduate research towards an MPhil/PhD exist and further information can be obtained from the NTU Graduate School. Assessing the value of the Garden Moth Scheme citizen science dataset: how does light trap type affect catch? Bates AJ, SadlerJP, EverettE, GrundyD, LoweN, DavisG, BakerD, BridgeM, CliftonJ, FreestoneR, GardnerD, GibsonC, HemmingR, HowarthS, OrridgeS, ShawM, TamsT, YoungH. 2013. Entomologia Experimentalis et Applicata 146: 386-397. An initial experimental assessment of the influence of substrate depth on floral assemblage for extensive green roofs. Olly LM, Bates AJ, Sadler JP, Mackay R. 2011. Urban Forestry & Urban Greening 10: 311-316. The role of microhabitat and food availability in determining riparian invertebrate distributions on gravel bars: a habitat manipulation experiment. Henshall SE, Sadler JP, Hannah DM, Bates AJ. 2011. Ecohydrology 4: 512-519. Building for biodiversity: accommodating people and wildlife in cities. Sadler J, Bates A, Donovan R, Bodnar S. 2011. 286-297 in Niemelä J, Breuste JH, Guntenspergen G, McIntyre NE, Elmqvist T, James P (eds.). Urban Ecology. Patterns, Processes and Applications. Oxford University Press, 392pp. Bringing cities alive: the importance of urban green spaces for people and biodiversity. Sadler J, Bates A, Hale J, James P. 2010. 230-260 in Gaston KJ (ed.). Urban Ecology. Cambridge University Press, 318pp. SWITCH in Birmingham, UK: experimental investigation of the ecological and hydrological performance of extensive green roofs. Bates AJ, Mackay R, Greswell RB, Sadler JP. 2009. Reviews in Environmental Science and Biotechnology 8: 295-300. Ecology and conservation of arthropods of exposed riverine sediments. Bates AJ, Sadler JP, Henshall SE, Hannah DM. 2009. Terrestrial Arthropod Reviews 2: 77-98. Microspatial distribution of beetles (Coleoptera) on exposed riverine sediments. Bates AJ, Sadler JP, Perry JN, Fowles AP. 2007. European Journal of Entomology 104: 479-487. Livestock trampling reduces the conservation value of beetle communities on high quality exposed riverine sediments. Bates AJ, Sadler JP, Fowles AP. 2007. Biodiversity & Conservation 16: 1491-1509. The ecohydrology of invertebrates associated with exposed riverine sediments. Sadler JP, Bates AJ. 2007. 37-56 in Wood PJ, Hannah DM, Sadler JP (Eds.) Hydroecology and Ecohydrology: Past, Present and Future. Wiley, 460pp.